Item # 308989 Stash Points: 3,500 (?) This is the number of points you get in The Zumiez Stash for purchasing this item. Stash points are redeemable for exclusive rewards only available to Zumiez Stash members. To redeem your points check out the rewards catalog on thestash.zumiez.com. 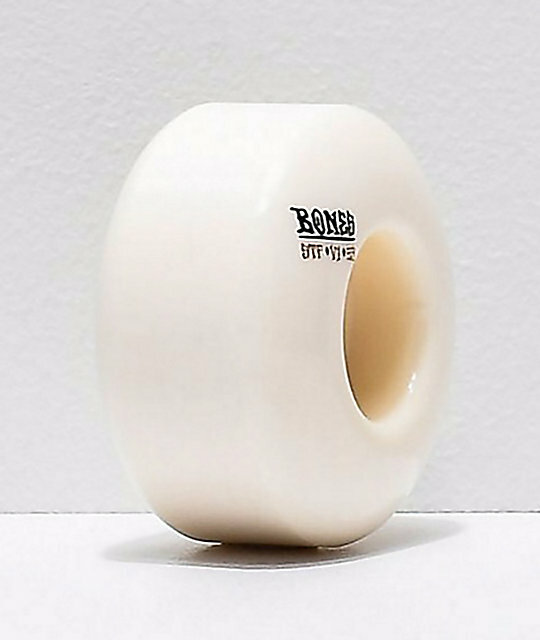 Grab simple styling and let your tricks speak for themselves with Bones' STF Blanks V1 53mm 103a Skateboard Wheels. 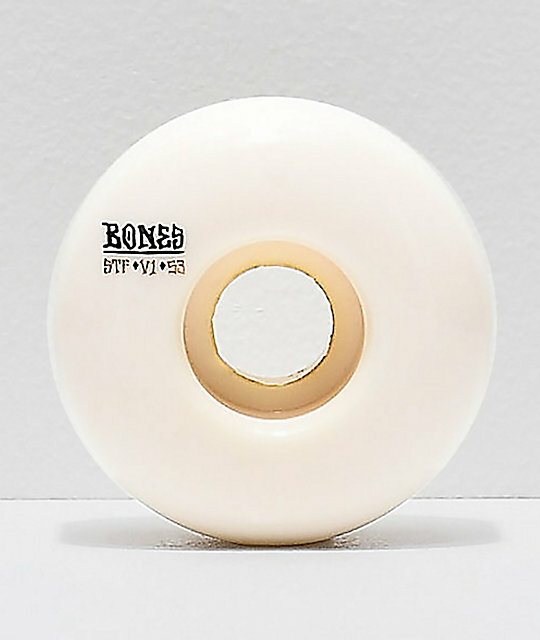 Minimalism at it's finest, these wheels have an all white colorway with very subtle logo script printed on each. Targeting skate performance, these wheels have been constructed with the brand's signature Street Tech Formula, an innovative design that delivers resistance to flat spotting while providing speed and amazing slide capabilities without compromising grip. STF Blanks V1 53mm 103a Skateboard Wheels from Bones. White colorway with custom logo text. STF Durometer: 83B, standard: 103a. Street Tech Formula for more speed and amazing slide capabilities while maintaining a resistance to flat spotting.